This treatment method is geared towards someone experiencing mild to moderate acne. Topical treatments work best to prevent new blemishes, so it’s important to apply them to the entire face (not just in problem areas). Some treatments will unclog pores while preventing whiteheads and blackheads. Others will reduce the amount of acne-causing bacteria on your skin. And, some will reduce the redness of your blemishes. Some of the active ingredients in these topical acne treatments can include retinoids, salicylic acid, benzoyl peroxide, or azelaic acid, and antibiotics like dapsone, clindamycin or sodium sulfacetamide. Some require a prescription and some don’t—your dermatologist will lead you in the right direction. Also referred to as “systemic treatment,” this medicine helps to treat moderate to severe acne. You may receive a prescription for an antibiotic like minocycline, doxycycline, tetracycline, or another medicine. These antibiotics can treat acne that covers a large area of the body. Some women who have acne can clear their skin through taking birth control pills with estrogen or spironolactone. Ask your dermatologist whether or not this is a good option for you. Most acne treatments have little effect on deep and often painful cysts and nodules. When other treatments do not work, isotretinoin may be an option. It’s the only medicine approved by the U.S. Food and Drug Administration to treat severe acne. Acne will improve in about 85% of patients after one course (4 to 6 months) of isotretinoin treatment. Isotretinoin isn’t for everyone. The medicine cannot be prescribed for pregnant women. The risk of a baby developing with birth defects is high, even if the medicine is only taken for a short time. Women who can become pregnant must follow strict rules to prevent pregnancy. Luckily, future pregnancies are not affected by isotretinoin. Because of the high risk of birth defects, we ask that both male and female patients enroll in a program called iPLEDGE before they can start taking isotretinoin. This program collects anonymous medical information about patients who are using isotretinoin, and uses the information to determine if education to prevent birth defects is effective. If you decide to take this medicine, make sure to tell your dermatologist about any possible side effects. They will be closely monitoring you. Your dermatologists may include procedures in their acne treatment plans to improve the overall results you get from other acne treatments; however, it is rare for a procedure to clear acne. Be gentle! 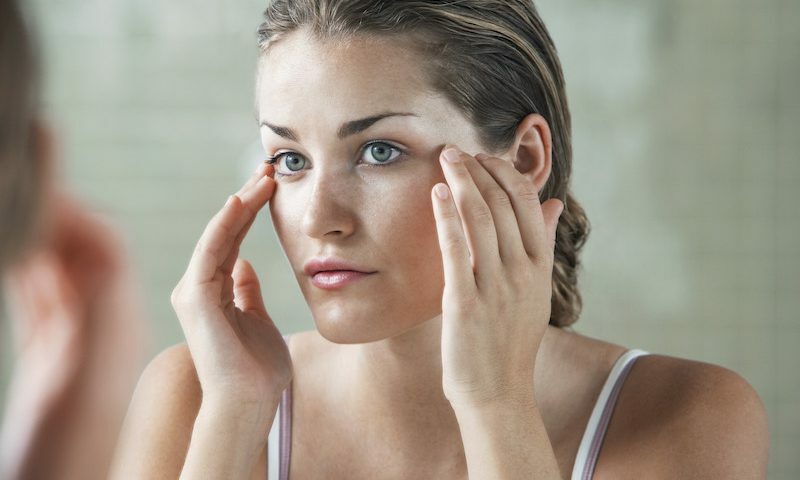 Avoid products that feel rough on your skin, like harsh exfoliators or heavily perfumed soaps. Wash your face twice a day and after sweating. Excessive washing or scrubbing will not help your acne. In fact, it can make it worse. Don’t touch your face! Do not pop, squeeze, or pick at your acne. Look for the term “non-comedogenic” or “non-acnegenic” on cosmetic or sunscreen products. You may also see the phrases “won’t cause acne” or “won’t clog pores.” These types of products should not irritate your skin. Tanning will not “treat” your acne. In fact, it damages your skin and will not dry out your acne. Some acne medications can make the skin very sensitive to UV light, which can worsen your acne. There is a possible link between diet and acne, and there have been numerous studies. Researchers are studying certain foods and beverages, like milk, to see what kind of effect they have on acne. Foods that cause high blood sugars, like white bread, might worsen acne. Studies have shown that smoking also makes acne worse. Once your acne is under control, your dermatologist can begin to treat any scarring that may have occurred. There are a number of treatment options that will make scars less visible such as microdermabrasion, chemical peels, fillers, lasers and more. Like treatment for active acne, the best outcome often comes from a customized treatment plan.